Electrical transformers are electrical machines that transfer electricity from one circuit to another with fluctuating voltage level and no frequency alteration. They are used to increase or decrease the alternating voltages in electric power applications. But, do you know what a transformer looks like? It is possible that you have seen it before without even knowing what it is. They come in all possible shapes and sizes. Electrical transformers are electrical machines that transfer electricity from one circuit to another with fluctuating voltage level and no frequency alteration. They are used to increase or decrease the alternating voltages in electric power applications. But, do you know what a transformer looks like? It is possible that you have seen it before without even knowing what it is. They come in all possible shapes and sizes. A transformer is a simple static electromagnetic device that work’s on the principle of electromagnetic induction in the form of mutual induction. Mutual induction is a process where a coil of wire magnetically induces a voltage in another coil located close to it. 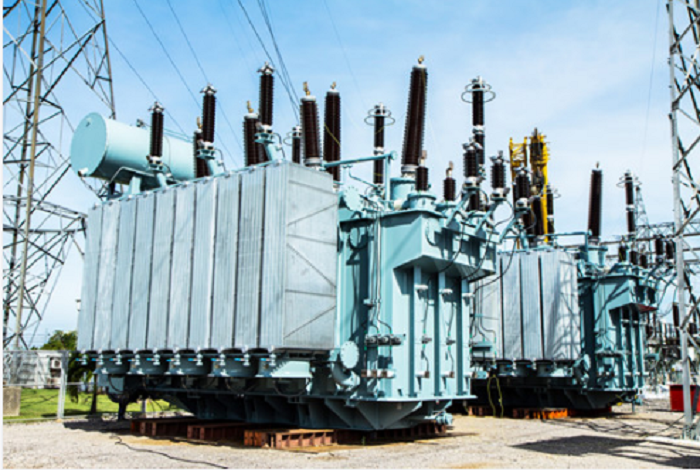 Transformers are used to step up and step down the voltage and current levels of their supply. They are used for both, industrial and residential applications. They are majorly used to distribute power across long distances. Have you ever given thought to how do transformers work? While you might know the principle on which it functions, it is equally essential to know how it works as well. A transformer is equipped with two windings, namely primary winding and the secondary winding. The primary winding is connected to the source and takes power while the secondary winding delivers the power. These two windings share a laminated magnetic core. Now, on the basis of the amount of linked flux between the two windings, one can observe the changes in flux linkage at various rates. Applying alternating voltage to the primary windings results in an alternating flux being produced in the core of the transformer. This result in the linking of both windings and an EMF is induced in the secondary winding. In the secondary winding, the EMF causes a load current to be produced if an electrical load is connected to it. This is the process by which an electrical transformer transmits AC power from one circuit to another by converting the value of electrical energy. What Are the Different Types of Electrical Transformers? Electrical transformers are of different categories which depend upon their end-use, purpose, construction, etc. Based on the type of design, you can get a Core Type Transformer and Shell Type Transformer. Based on the supply type, you can have either Single Phase Transformer or Three Phase Transformer. On the basis of purpose, you can get a Step-Up Transformer or a Step-Down Transformer. Based on usage, there are Power transformer, Distribution transformer, Instrument transformer, Current transformer, Potential Transformer. As said earlier, you can use an electronic transformer to lower or raise the voltage level in an AC circuit. It also increases or decreases the value of a capacitor or an inductor in the circuit of an AC. A transformer is used when you need to isolate two circuits and prevent the passage of Direct Current from one circuit to another. An electrical transformer steps up the level of voltage at the power generation site before carrying out the transmission and distribution of electricity. Some appliances where electrical transformers are used are pumps, windmills, power generation units, etc. Apart from providing power supply to your home appliances, electrical transformers have a huge impact on our daily lives. By choosing the right transformer for your appliances, you can increase their efficiency and lifespan. Electric Power Inc. is an organization that manufactures both, standard and customized dry-type electrical transformers in Canada. If you want to know more about the organization and its products, feel free to visit the website.